According to this article from House Beautiful, if you do any of these things, you are abusing your dishes. ONE. 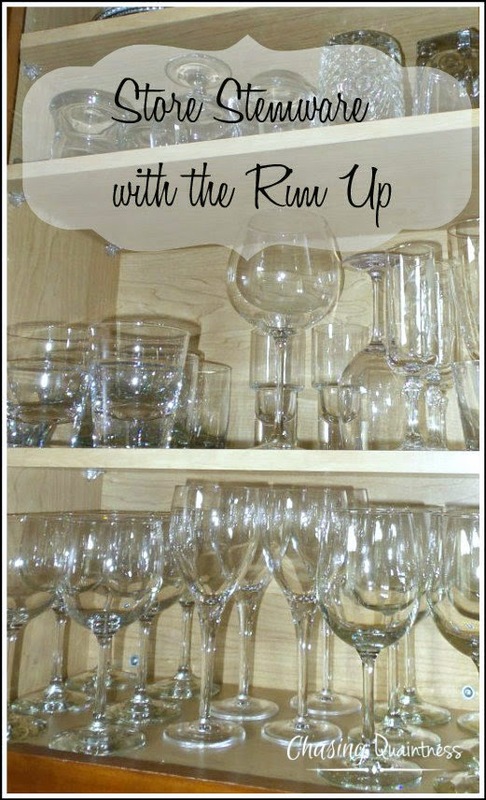 Storing your stemware with the rim down. These glasses are fragile people. Turn the rim up! TWO. Do not pre-wash your dishes before placing them in the dishwasher. My mother-in-law has been telling me this for years. I finally stopped. One more time. DO. NOT. PRE-WASH. YOUR. DISHES. If the dishwasher detergent cannot find food to eat, it eats away at your dishes. THREE. Use a spatula, not silverware, to scrape the heavy food off of your dishes. 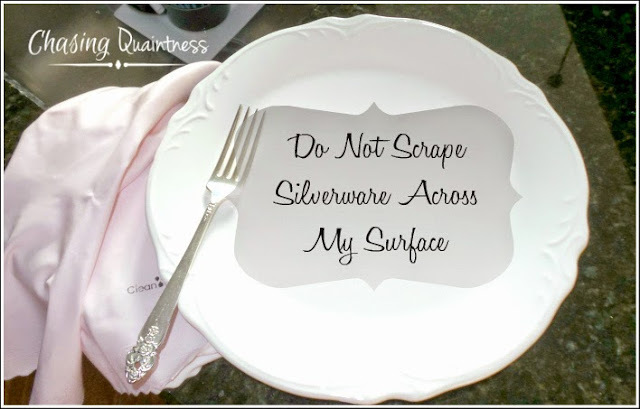 Scraping silverware across your dishes will eventually mar and scar. FOUR. 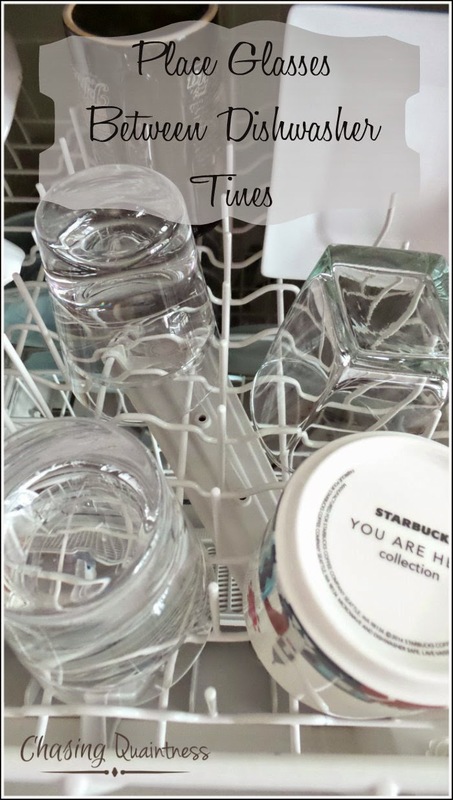 Use a buffer, such as a coffee filter or shelf liner, between plates and bowls while they are stored in your cabinets. A coffee filter a day will keep chips away...or something like that. FIVE. Place glasses between the dishwasher tines, not ON the tine. This will ensure they are as "snug as a bug in a rug" while getting clean. I didn't know that about storing stemware rim down. I wish I could not pre-wash my dishes, but my dishwasher is old and won't clean the gunk off if I don't wash first. Does the dog licking the plate count as pre-washing? Clearly, I am not very nice to my dishes! Ooops!! Great advice here. I don't use my dishwasher to clean. I use it for storage space! I really needed this advice, I would've failed this test if one were given! I think I'm convinced. My son has been telling me for years not to clean my dishes before I put them in the dishwasher. I thought it was silly but now I see there is a very good reason behind it. But no cleaning pans where legumes have been cooked? No oatmeal pans? Or does this suggestion only apply to dishes? I never put my glasses upside down, because I don't want ickies on the rim of my glass. I mean I clean my cupboards and all, but still... there's dust. I don't have a dishwasher. Where the hell would I put one? LOL I didn't know about scraping the dishes though. I have alternated depending on cabinet size and space. I will definitely keep them rim up from now on though. Wait, you do have one. He’s called “boyfriend”! :-) I don’t know that one would really look good in your kitchen! It’s so beautiful the way it is!! I think that is an EXCELLENT agreement!! How awesome that you are a chef! I always wanted to attend culinary school, but just never got the chance, so don't look at my recipes on the blog...LOL! Thank you so much Cathy! Will be checking out your blog! Have a great evening! Oh dear, guilty on all counts!! PS: if you have gray silverware marks on your plates, a dab of Barkeeper's Friend on your dish cloth will solve the problem. Thank you so much for all of the other hints!! Great post!